So something terrible happened this weekend. Ok, not really that terrible, but not a good thing. My computer’s hard drive died. THANKFULLY, I backed up somewhat recently, but with the long weekend, every tech in Toronto is out of the office until Tuesday, so there’s no computer fixing until well into the week. I’m ashamed to admit that this was probably a good thing. Why? Because lately, a lot of my time spent at home is also spent with perpetually playing Netflix in the background of my life. Instead of days spent in bed reading, there have been days spent in bed catching up with Dawson and Joey. Instead of listening to music and podcasts while cooking dinner, it has been Gordon Ramsey yelling at failing restauranteurs. So while I am most definitely not pleased with my computer troubles, what I am pleased with is this forced break from my shameful Netflix addiction. Anyways… the REAL point of this blog post is to talk about one of my new favourite publications, which I finally finished reading this weekend. I picked up a copy of the gentlewoman from Easy Tiger a few weeks ago, and read through the cover story on Vivienne Westwood, and a few of the shorter pieces, but then it sat on my bedside table unattended to until yesterday morning. 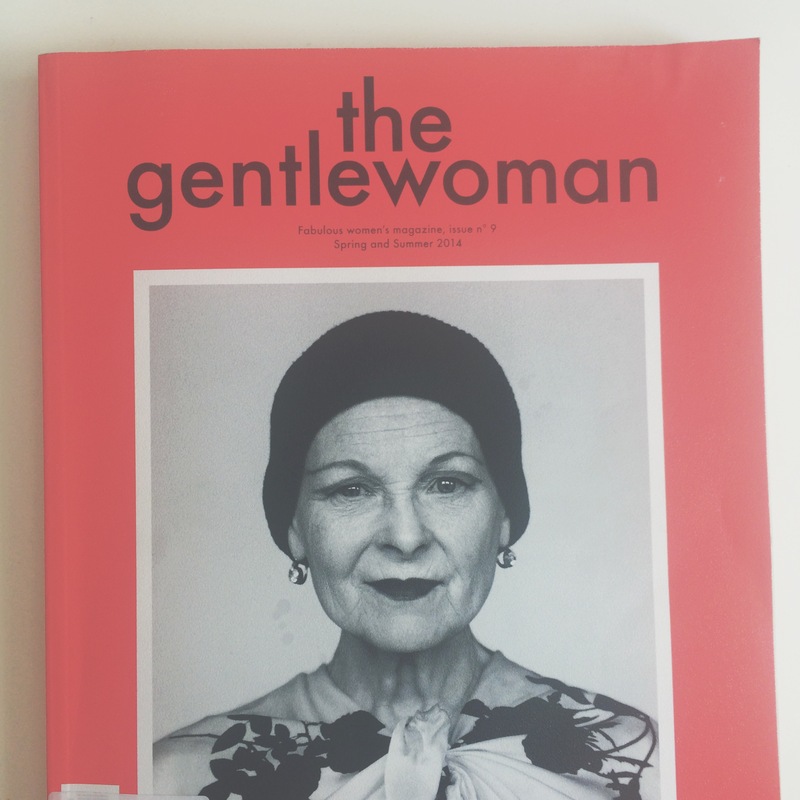 Where the gentlewoman doesn’t differ from other women’s fashion magazines is that it has beautiful editorial spreads telling stories through photography and clothes, where it does differ is in its storytelling of women’s lives, young and old, from different creative disciplines. The main thing though, THE MOST IMPORTANT THING about reading the gentlewoman, is that unlike other women’s fashion mags, when I put it down, I did not feel inadeuqate; I did not feel fat; I did not feel like something was missing from my life; I felt inspired, and calm, and supported by other strong women, and like I wanted to go out into the world and be amazing, and write, and eat croissants, and work hard, and go for runs, and drink with friends, and live life. And if that’s not worth 15 dollars twice a year, I don’t know what is.